Despite over 12 hours of driving and over 750 miles on the road returning home from my Texas trip, Thursday Morning Superhero is delivered on time and loaded with quality titles. I think it is unfair to the other comics that I read this week to be compared to Locke and Key. I have never been so vested in a universe or a set of characters like the ones that Joe Hill and Gabriel Rodriguez have created. Time for the least shocking pick of the week! 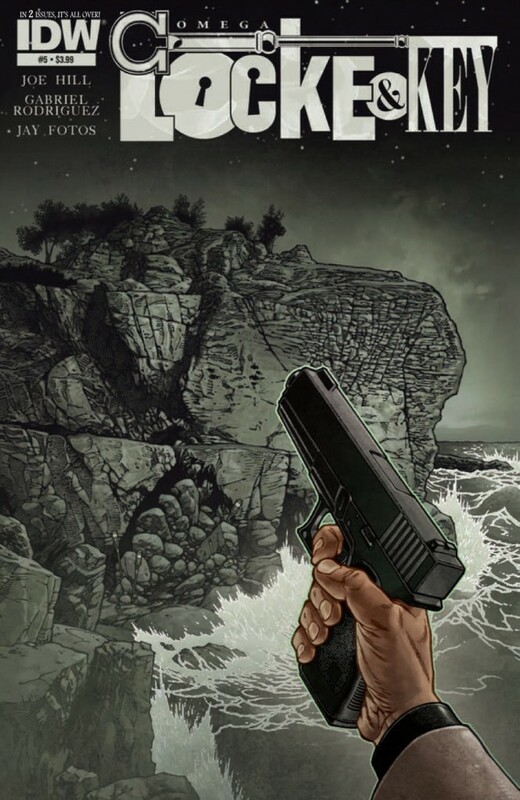 Locke and Key: Omega #5 - This is a difficult book to review without spoiling it. Anyone who has frequented this blog should know of my love of Locke and Key. We left the last issue with Kinsey and a group of the senior class trapped in the drowning cave with Dodge and the Omega door wide open. Rufus was in pursuit, but lagging behind and Tyler just took a bullet to the gut. Things don't improve much in book 5, but we are left with a chance for hope and redemption. Not only for the Locke children and their mother, but their father and, I hope, Dodge. It is easy to forget what a tragic figure he is and I don't think that Hill and Rodriguez have either. It is going to be difficult to wait for book 6, but I have no doubt that it will be worth it. Age of Ultron #9 - Still enjoying this series and found a good amount of humor in what I will call the "Plan B" issue. Multiple Wolverines travel through time, alternative future Tony Stark has a plan, and Hank Pym thinks he gets it. Should set up an interesting conclusion to a very entertaining series. 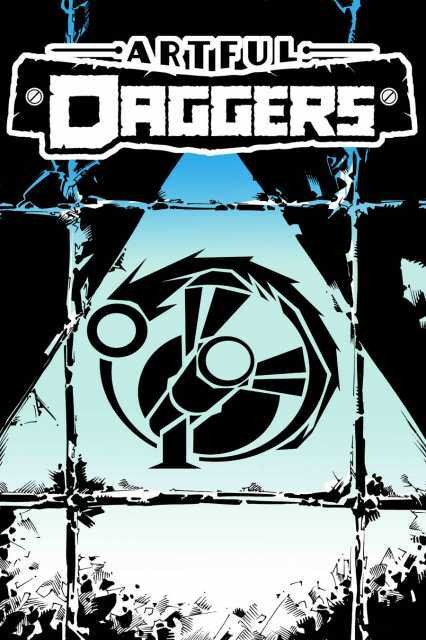 Artful Daggers #4 - I will admit that this title is beginning to confuse me with all of the backstabbing and politicking that is taking place in four short issues. I am intrigued by this universe and the backstory of the Tricksters and will reread the series later this week, which I take as a good sign. Really solid title, stunning artwork, and a great bargain from MonkeyBrain Comics. Really worth your time and spare change. Fairest #16 - Maharaja Charming continues to try and woo Nalayani when they are attacked by the Dhole. The two team up to hunt down the remaining wolves when they find themselves in another sticky situation. This arc has been packed with action, fun, good looking women, and some mysterious characters who have yet to reveal their true purpose. Good times. All New Secret Skullkickers #1 - Jim Zub brings more humor, action and fun to part four (yes, part four) of the Eighty Eyes on an Evil Island arc. 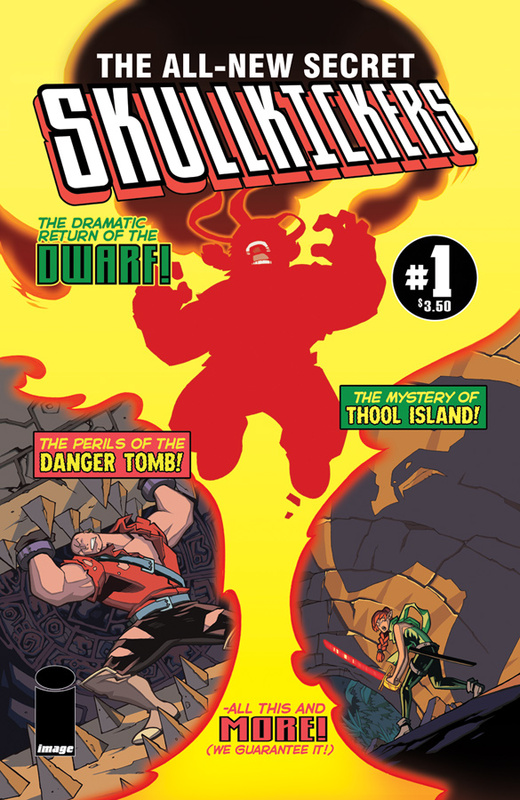 In an issue featuring a handy dandy Island map complete with where to get the best melons, a dangerous dungeon exploration montage, and a magical sword that prefers proper manners, Zub is able to poke fun at the comics industry, craft an interesting tale, and blend humor and action in a way that is uncanny. Ten Grand #2 - J. Michael Straczynski has a hit on his hand with Ten Grand. Joe Fitzgerald continues his searching for Debbie's sister Sarag, who was last seen with the man who killed both him and his lover. A man he put a bullet in his head a couple of years back. After crossing paths with a fleshist, Fitzgerald learns that the Divine Will cult is one step ahead of him and has taken possession of Debbie. Straczynski has managed to develop quite a bit of depth in 2 issues and has me on board.